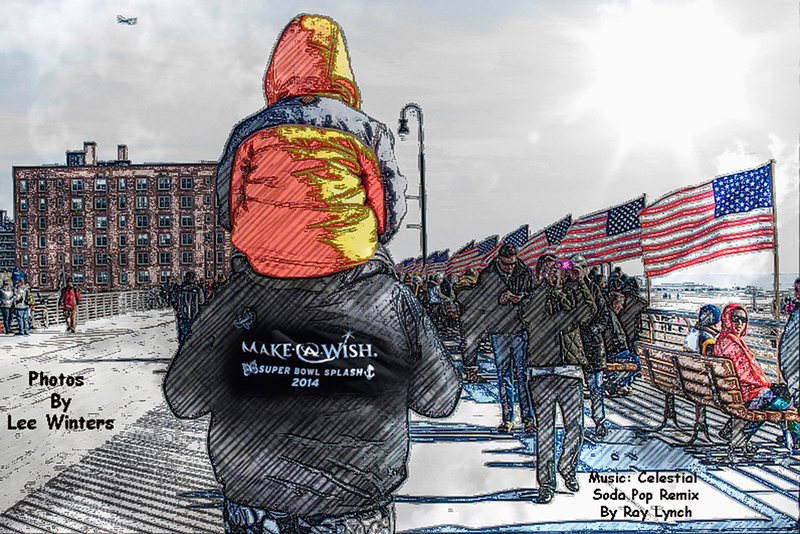 Not only is Polar Bear day fun by itself but the idea that it’s in support of such a fantastic expression of human caring, the Make a Wish foundation, only served to supercharge the joy. There was way too much winter wonder going on at Long Beach, New York’s Polar Bear Plunge to fit into one photo video. So…I made another. The music, “Celestial Soda Pop Remix” by Ray Lynch is so appropriate for the video. It works because the video shows the effervescence of humankind when neighbors get together. 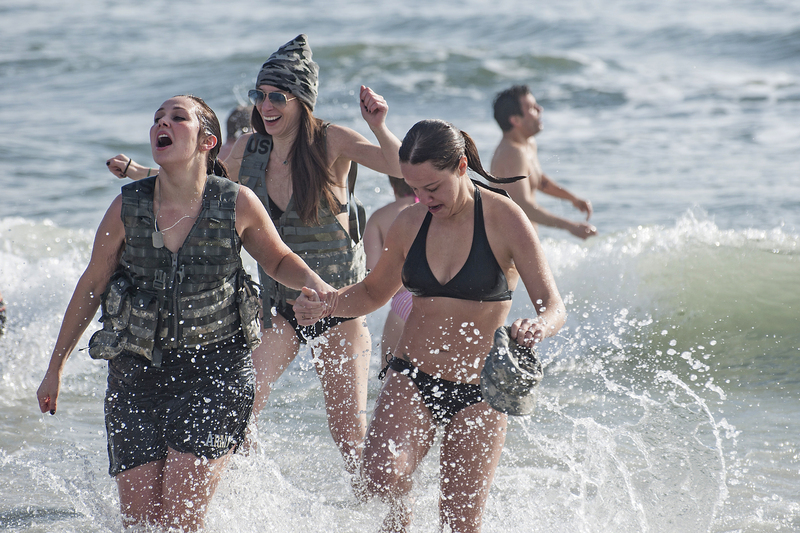 But there was far more exhilaration going on at the winter event than I have ever felt on any summer beach day. There was an exuberance that permeated the atmosphere…not a frown to be found. I’m sure it’s because the act is so much in dissonance with February. People are usually set up for wine and a fireplace,football and food…not frozen feet. Incongruity rules sometimes. There is a certain kink to doing anything out of the ordinary, be it bacon and eggs for dinner or a Christmas party on the 4th of July. So it makes sense that I should witness such joy in a beach-bash in February. You can see it in every bubbly grin…grimace too. Now, I’m suspecting that some reluctant souls were dragged to our fine beach by a significant other, but I suspect too that they’ll be more unforgettable memories of this day than any that could be created at the the Super Bowl’s endless pre-game shows. The beach was a great backdrop of divergent February fun. 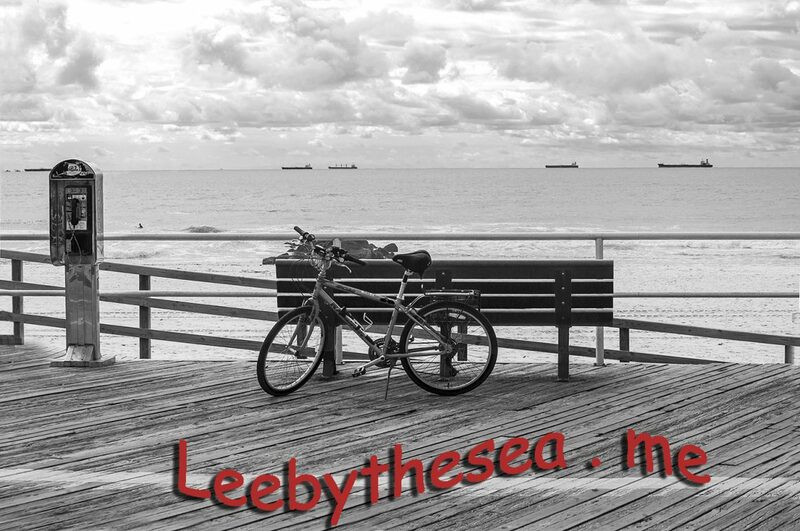 The ocean waves are emblematic of life, as I say in my ABOUT page:http://leebythesea.me Doing something different puts a barrel wave to the day that would be otherwise flat. The waves people came to jump into crashed upon them one after the other, none exactly like the one before, nor any to follow. Each day we’re on the crest of yesterday and tomorrow. Each day a chance to create an experience we can later treasure on the shore of our mind.